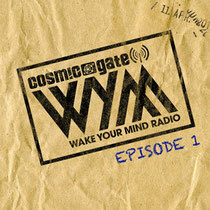 Cosmic Gate recently announced the latest development in their #WYM marque. Bringing a new level of definition to Wake Your Mind’s sound, they now get set for Wake Your Mind Radio. Across 60 minutes, the fully formatted show will feature Nic & Bossi discussing and airing the tracks that have been working for them. It’ll also encompass first-listen music premieres and tracks from the deeper side of the WYM psyche. The show will also feature comprehensive info on up-and-coming gigs, Nic & Bossi’s biggest hitting tune of the week and WYMR will also be a first port of call for news on the forthcoming sixth Cosmic Gate artist album. Transmitting weekly WYMR gets its first ever broadcast on DI.FM between 13:00 and 14:00 US Eastern (18:00 – 19:00 UK / 19:00 – 20:00 Central Europe, before Above & Beyond’s show) on April 11th and every Friday from thereafter. That’s closely followed by a weekly broadcast on SiriusXM during the A State of Sundays programming from the 13th of April at 16:00 – 17:00 US Eastern (21:00 – 22:00 UK / 22:00 – 23:00 Central Europe).